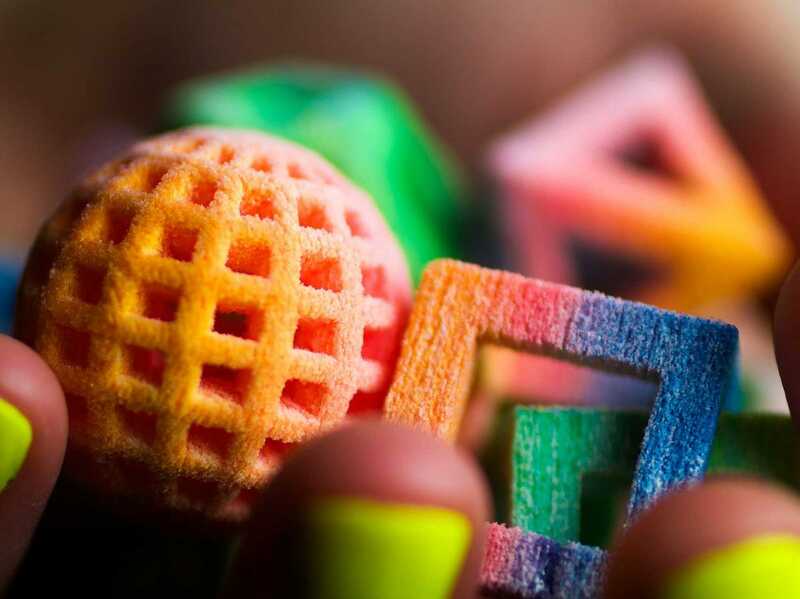 There are a number of 3D food printers on the market, promising to print everything from pasta to Nutella. But most simply create shapes from pre-prepared ingredients. 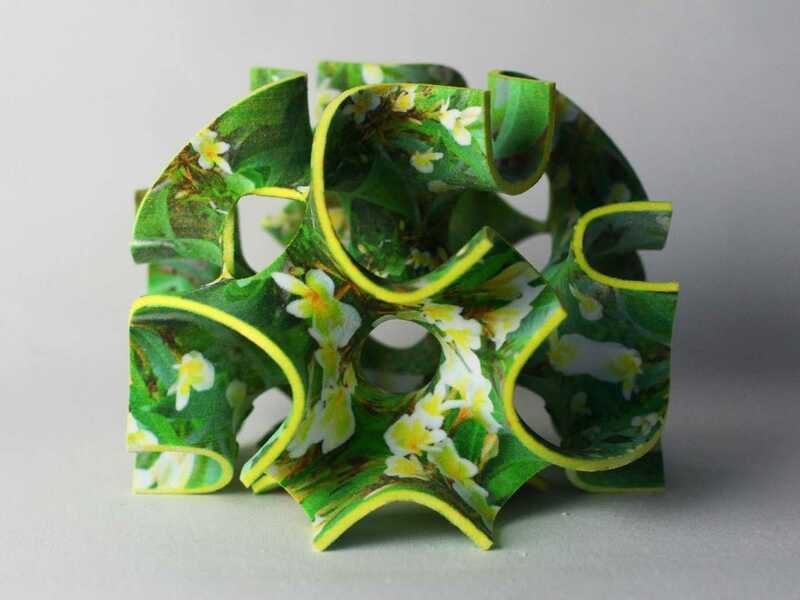 One company, however, has gone a different direction, designing 3D printer that turns sugar into gorgeous geometric confections in your own kitchen. 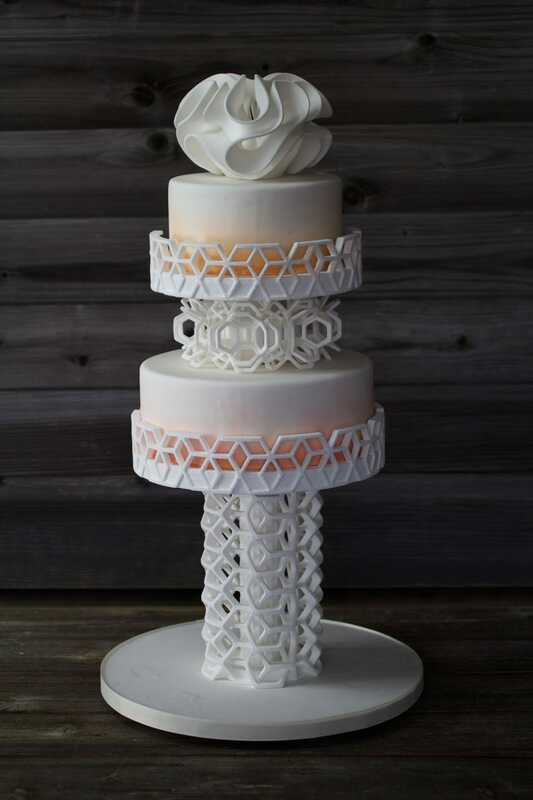 The project started when von Hasseln and her husband Kyle, who were graduate students at the Southern California Institute of Architecture, forgot that they were supposed to bake a birthday cake for a friend. 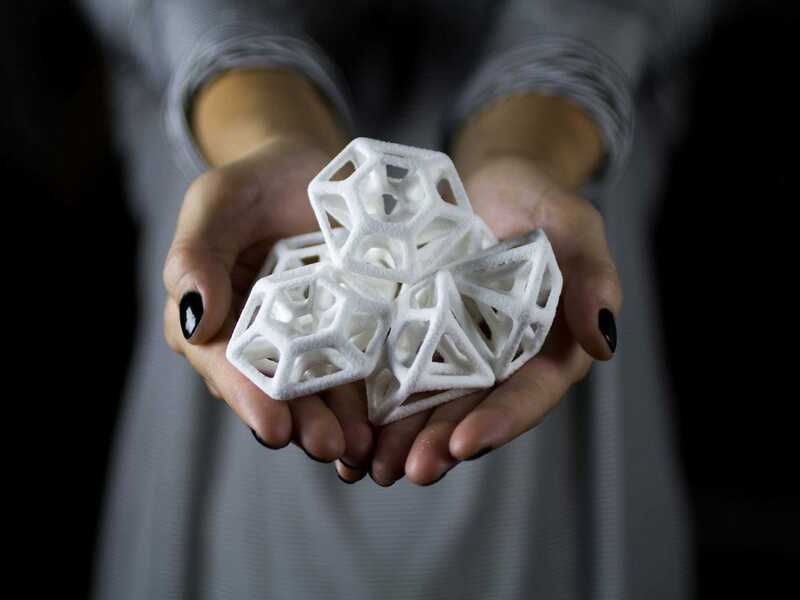 Their tiny apartment didn’t have an oven, but they did have the 3D Systems printer they were using for their thesis project. After tweaking the existing technology to print layers of sugar, they printed their friend’s name as a cake topper and a business was born. 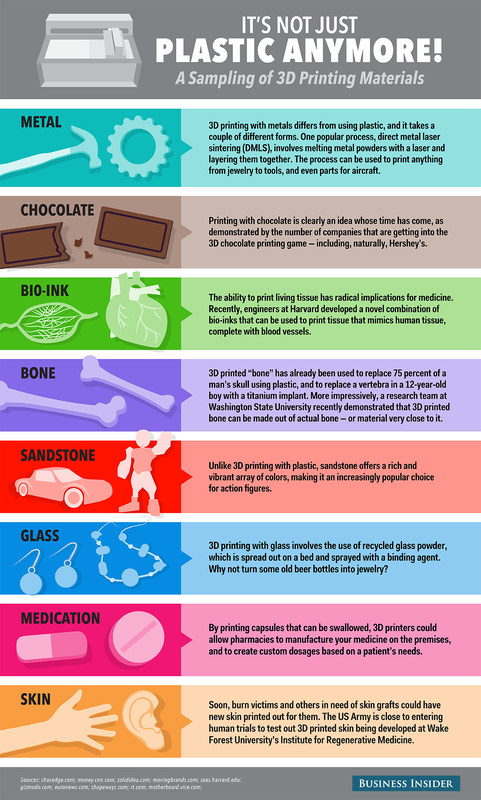 The von Hasselns quickly realized the potential of their invention and established Sugar Lab, designing and printing 3D candies in flavors like mint, sour cherry, and vanilla. Sugar Lab was purchased by 3D Systems last year, and now the von Hasselns are the company's Creative Directors of Food Products. 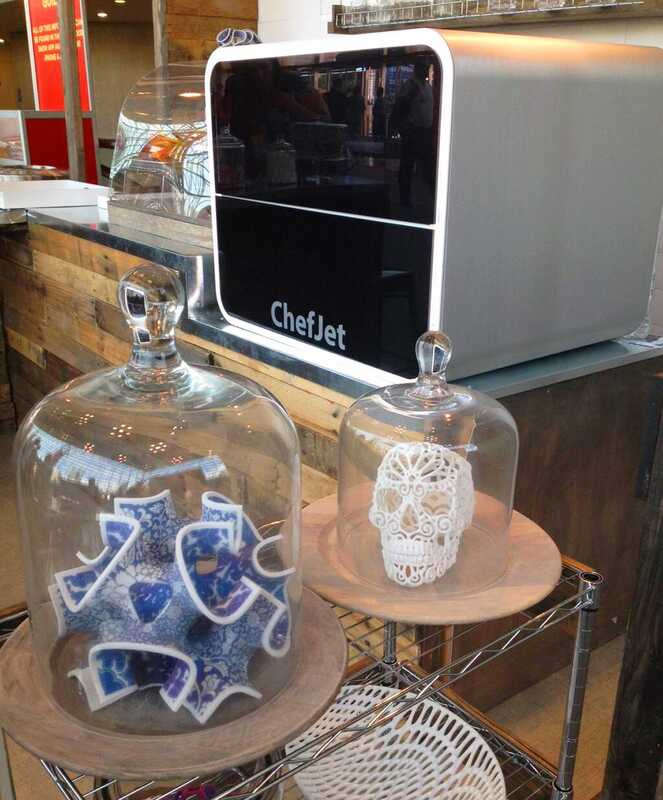 Later this year, they will unveil their sleek ChefJet, which prints in black and white, and slightly larger ChefJet Pro, which can print in color, with prices ranging from $5,000 to $10,000. The machines are roughly twice the size of a microwave and look like something one would see on a futuristic cooking show hosted by Spock. 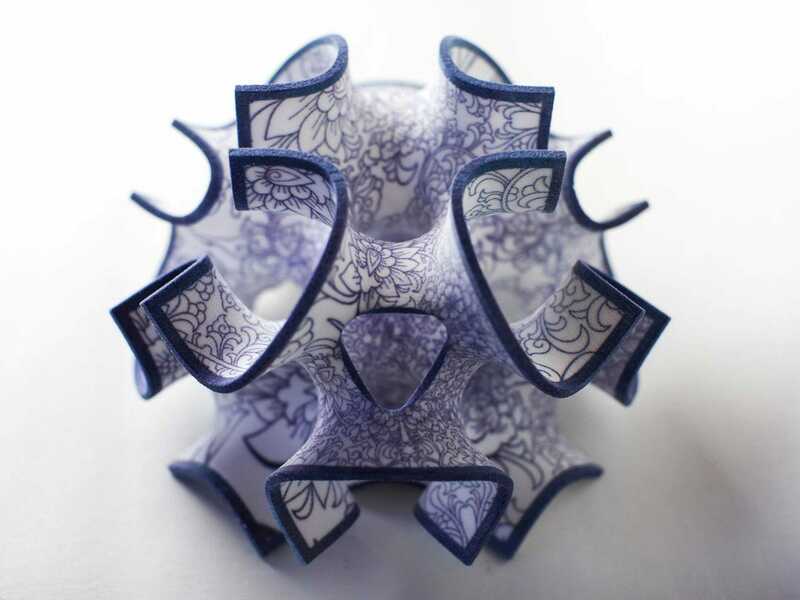 The end results are gorgeous, geometric creations — especially with the ChefJet Pro, which can make such exact color designs that the end product resemble expensive china. The technology is still limited to sugar, but the ChefJet and ChefJet Pro come with a sort of “digital cookbook” that’s organized by food types. 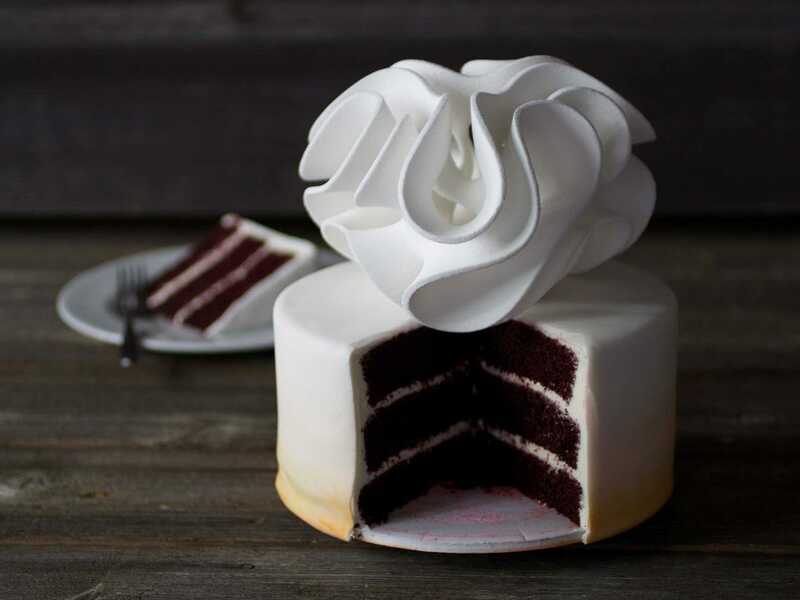 If you’re working on a wedding cake, there’s a cake section. If you’d like to make sugar cubes or candy, there’s a section for that, too. But don’t expect to run out and buy a ChefJet or ChefJet Pro anytime soon. In its current iteration, ChefJet is meant for the professional market, to be used alongside other industrial kitchen equipment by pastry chefs, molecular gastronomists, and mixologists. In other words, this is not the next microwave — yet. But as the science continues to evolve, von Hasseln does see additional practical uses for her invention. 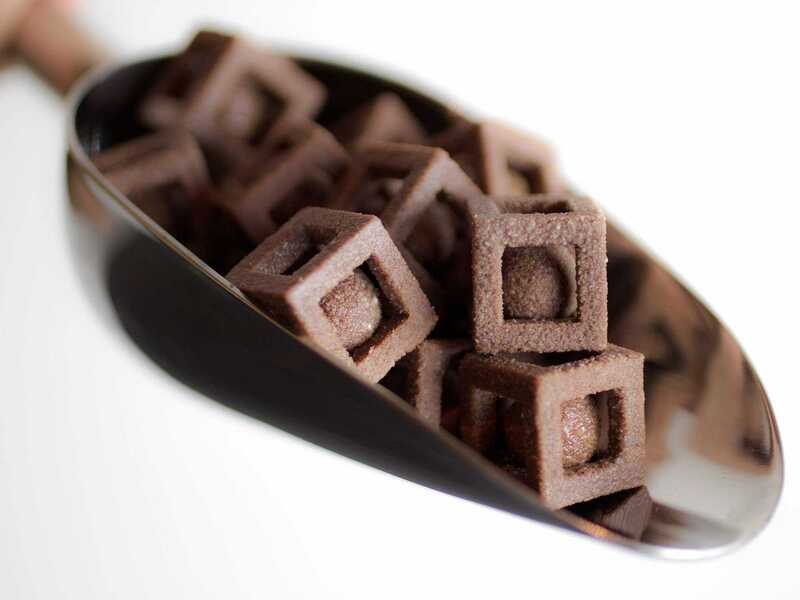 “We think that sugar is a great place to start 3D printing food,” Liz said. 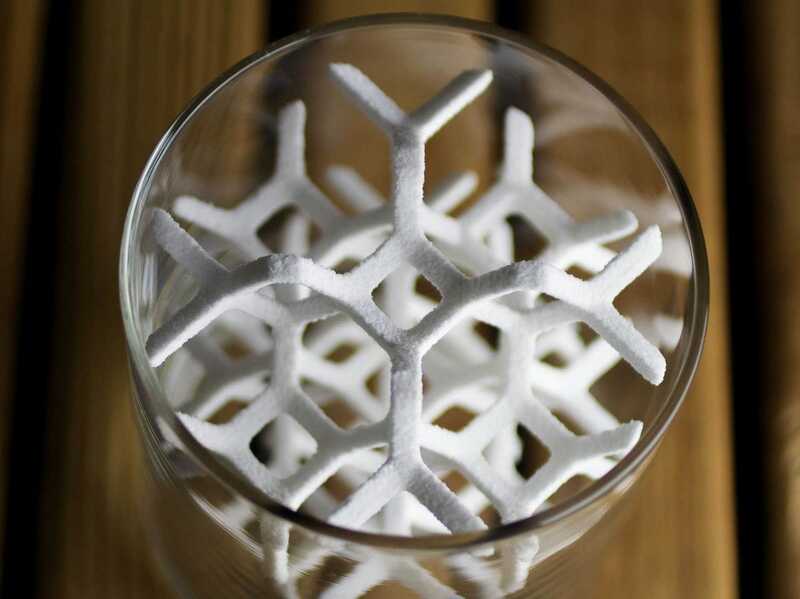 “But beyond sweets, we see tons of potential for other edible substrates. We’re really excited to continue to experiment with starches, spices, or even proteins down the line. 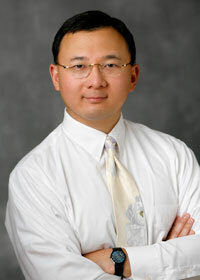 And even further down the road, we see potential for things like personalized nutrition and pharmaceuticals." Apple chose to stay silent on some key topics about the Apple Watch during Tuesday's launch event. The battery life was skimmed over, and it wasn't clear what kind of security would be going into the device. But as technology reporters are getting to test out the Apple Watch, we're learning more about how it will work. Mashable has reported on the clever way that the Apple Watch will prevent thieves from gaining access to your credit cards. The Apple Watch will include NFC payment using the Apple Pay system, meaning that customers can link their credit cards to their watch in order to pay for items by holding their watch near a special sensor. That will make the watch a tempting target for thieves. There have been questions over how secure the Apple Watch actually is, as it seems to have weaker security when compared to NFC payments on the iPhone 6. Customers need to hold their finger on the Touch ID fingerprint sensor on the new iPhone before paying for items. Apple Watch has no such feature. 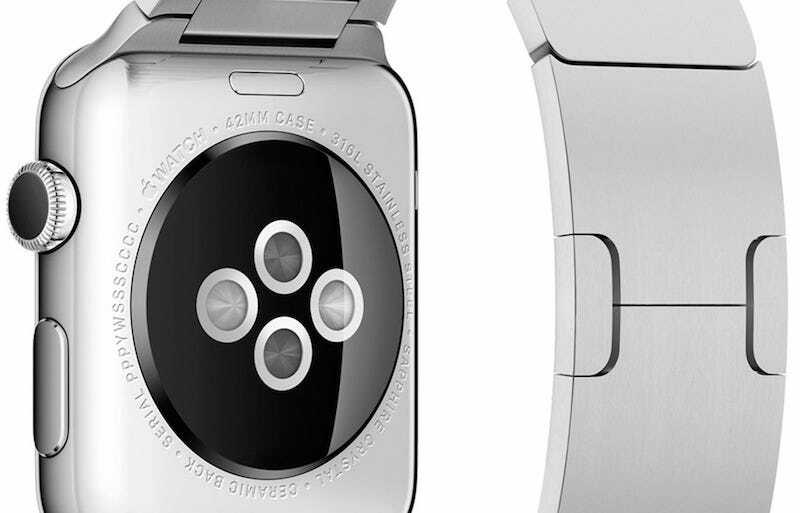 Luckily, Apple has come up with a clever way to make the new watch secure. As Mashable notes, it works using the four circular sensors on the back of the device. Two of the sensors are infrared, and the other two measure light. Apple uses these sensors to measure things like your heart rate. But it's also using the sensors to tell when the Apple Watch is on your wrist. If you take off the watch, then the device's screen locks you out. You need to enter a code on the Apple Watch before it can be used for payments again. The jury is still out on whether the Internet of Things will make our lives any easier. If and when it does, a lot of it might be powered these tiny, ant-sized radios. Things don't always run smoothly for Virgin Galactic , though it is increasingly making progress . Now,those eager to make it into space on a plane may have more of a wait than they'd like though—because the company has had to push back its maiden voyage. Oculus/Facebook, Samsung, Sony, Google. We're about to be flooded with virtual reality hardware, but what about content? While John Carmack works on the gaming side, the folks at NextVR (formerly Next3D) have been developing camera rigs to record live video in full surround that will let VR units put you anywhere in the world you want to go, and here's the latest one. 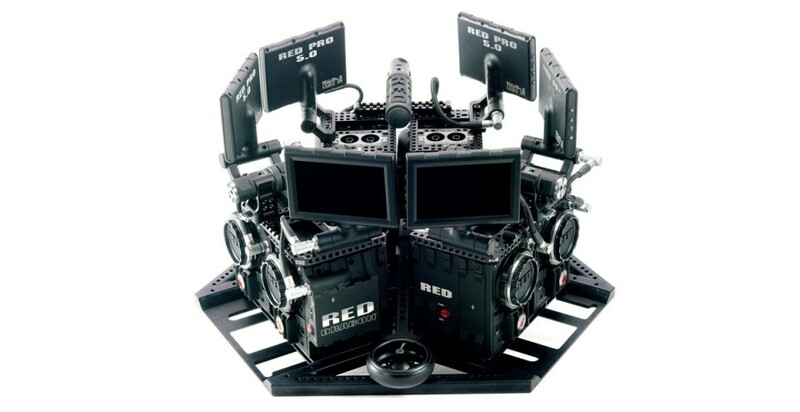 Red Camera's Jarred Land spilled the beans, posting pics of this "Virtual Reality Camera System" which links six of his company's 6K Dragon cameras together in a rather monstrous-looking array. There should be demo footage on display at the IBC conference, but based on what we've seen from NextVR already, the potential is high. There aren't any cameras pointing up (or down) but previous systems from NextVR have used fisheye lenses to expand their range, and we expect something similar would be in store for this. NextVR is providing video to go along with Samsung's Gear VR headset when it launches and it's working with Oculus too. Judging by this setup more video experiences -- whether live streamed or recorded -- will be coming to the VR space soon. With five different broadcast partners all paying more than $1.0 billion annually to broadcast games, the NFL is now taking in more than $6.0 billion each year in national television broadcast rights revenue alone. 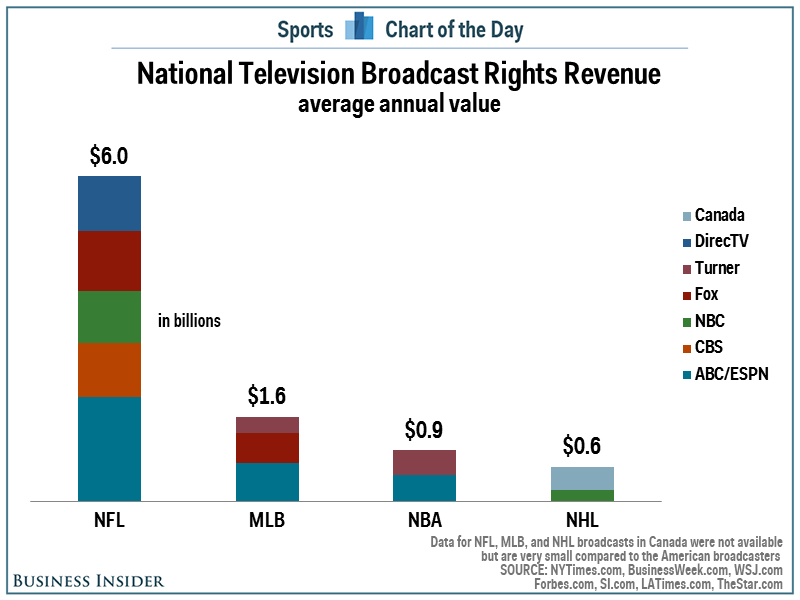 This figure does not include revenue generated from games broadcast on the NFL's own NFL Network. In addition, the NFL's deal with DirecTV is expected to increase from $1.0 billion per year now to $1.4 billion per year starting next year. While the NFL dwarfs the other leagues in terms of national television revenue, the other leagues make up for it by selling television rights locally. For example, the Los Angeles Dodgers new television deal alone is worth approximately $300 million per year and several other teams own their own regional sports networks. Dizzying first-person footage? Check. Skate/parkour/longboard adrenaline ride? Check. 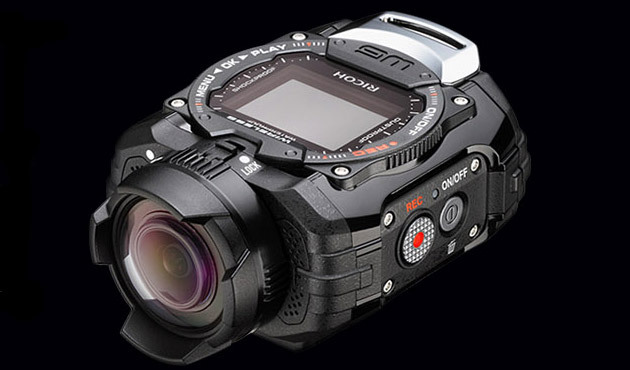 Ricoh (perhaps better known for its Pentak brand) knows what action camera buyers want. Or at least the category's marketing staples. Its latest cam is the Ricoh WG-M1, and it's aimed squarely at the Blanchards and Bruscos of this world. It shoots full HD, takes 14-megapixel stills, has WiFi, is waterproof to over 30 feet and sports an LCD display -- all good stuff. But there's one big question -- does it come with a carabiner-equipped strap for easy carrying? Glad you asked, the press materials say yes. The camera will cost $300 when it shoulders its way onto shelves in October, so plenty of time to look up what a carabiner is. Burger King has gone to the dark side. The fast food chain just announced the launch of two all black whoppers in Japan, according to Rocket News 24. 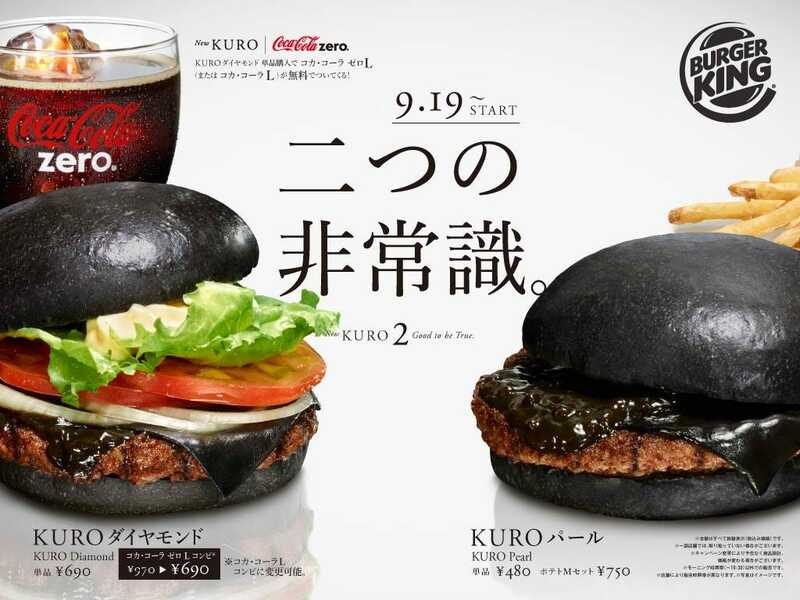 Their Kuro Diamond and Kuro Pearl ('kuro' is 'black' in Japanese) burgers will each feature black buns, black slices of cheese, and a black sauce. The Kuro Diamond Burger is a little more colorful with onions, tomato, lettuce, mayonnaise, and a customized squid ink sauce. The Kuro Pearl (translated to The Black Pearl, aka the ship from Pirates of the Caribbean) burger, however, lacks the veggies, and could potentially pass as an edible black hole or a shadowy flying saucer. In order to create their ninja-like facade, Burger King darkened the buns and cheese with bamboo charcoal and mixed the meat with scores of black pepper. The peculiar patties will sell for approximately 690 yen ($6.40) and 480 yen ($450), and will be hitting Japanese stores on September 19th for limited time only. SD cards are everywhere now, and you can get them on the cheap. But SanDisk is not interesting "on the cheap" with the announcement of some crazy, insanely high-capacity flash memory that is more expensive than the camera you put it in. 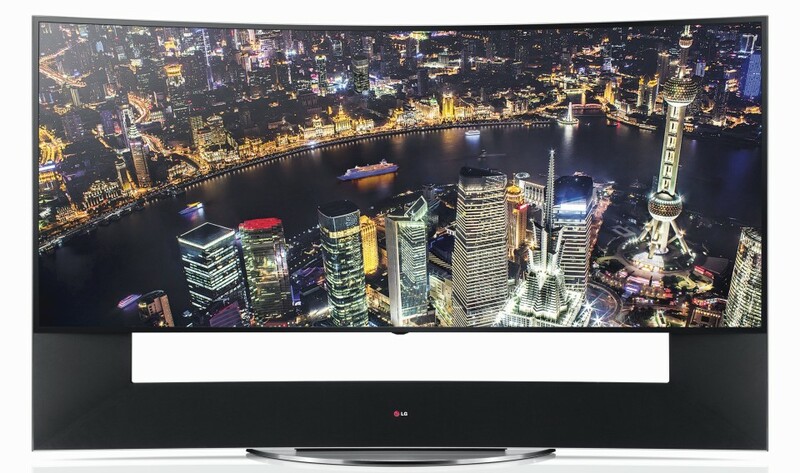 Remember that massive 105-inch Ultra HD TV LG brought to CES earlier this year? Today at the custom installer show CEDIA, LG has revealed it's going on sale, but fitting it into your budget will be tougher than squeezing one into your house. That's because this giant will cost $100,000 when it ships in November. Prefer mild over wild? You can get the 98-inch version (which still stretches more than 8 feet diagonally) for a mere $40,000 around the same time. 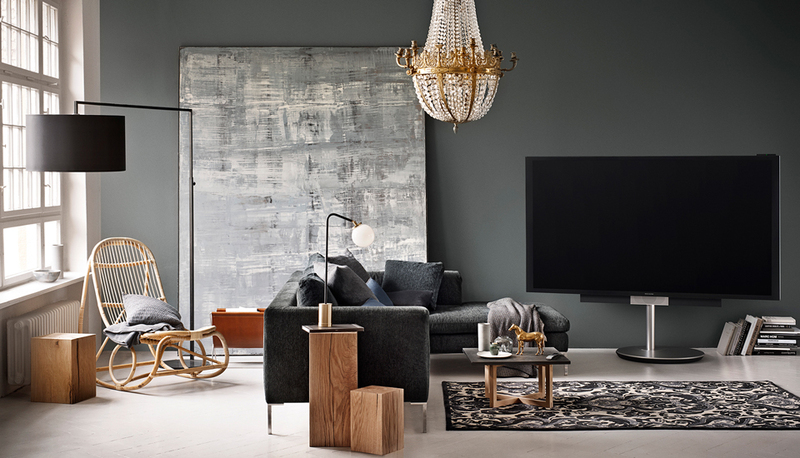 For the rest of us, LG is introducing three new series of 4K TVs, with the 40-inch 40UB8000 available as the cheapest model for just $1,000.